I jumped at the chance to be a part of the Spring Break PJ Party Tour. The tour is part of the Sew Your Stash Facebook group and I loved a good reason to sew up a few patterns I’ve had FOREVER! I used a few patterns from Peek-a-boo Pattern Shop. My little man got some Alex and Anna Summer PJ’s. I’ve been dying to use Raspberry Creek Club Fabrics for pajamas ever since I first felt them. They are so soft and just perfect for snuggling in. My boy is in Club Aztec print, my oldest daughter in Club Buffalo Check, and my younger daughter has Club Dots. The solid cotton/lycra is also from Raspberry Creek. I was silly and sized up for his and my oldest daughter’s (hoping to get more wear out of them) but they are plenty big. She’ll for sure get a couple summers out of hers. For her I used the Alex and Anna Winter PJ’s for the bottoms and Summer PJ top. And miss P got some footless Happy Feet PJ’s. The Happy Feet Pj’s were one of my first pattern tests ever and I can’t believe I never sewed them up again. We headed to Grammy’s house for a fun slumber party photo shoot (Grammy has better indoor lighting, haha!). Daddy took most of these pics and he is WAY more fun than mom! I loved sorting through all the pics of them busting up. Make sure you enter the fabulous giveaway and stop by all the other amazing blogs along the way. The prize package is HUGE and you’ll want to check out the great fabric shop discounts too! Along with today’s daily giveaway (see below!) there is also larger giveaway and a link up happening. Go to today’s post over at Sprouting JubeJube to get the full details on how to link up and to enter the giveaway! We are also lucky to have four fabric shops offering readers discount codes: Mabel Madison is offering 20% off with the code JAMMIES. Code expires March 31st! PhatQuarters is offering 10% off OR FREE shipping to US addresses on orders over 40$ US (with an equivalent discount for international shoppers). Use the code PHAT10 for 10% off OR FREE40 for free shipping to US. 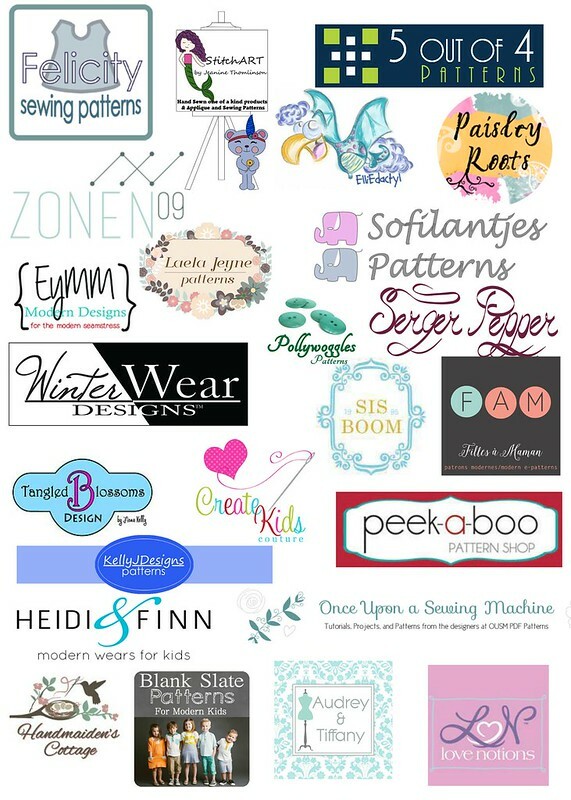 Raspberry Creek Fabrics is offering 15% off with the code PJPARTYTOUR. Good through March 26th! Tangled Blossoms Designs is offering 10% off with the code PJPARTY. Code expires March 25th! Want to win more prizes? You still have time to enter yesterday’s giveaway! Go to Made By Jaime’s post from yesterday to enter the giveaway that ends at 11:59pm EST tonight (March 25th)! Make sure to swing by all the other fun stops on the tour. What a fun looking photo shoot! Everything looks so gorgeous! Those are so darling! They look super comfy too! I really like how you used the polka dot fabric as trim. Cute pjs and cute kids. I love the trible print jammies!